We provide Frederick homeowners with the highest quality residential pavements in Maryland. When you invest in a new driveway, patio, walkway, or other pavement, you want to know it’s being built by contractors with decades of experience in the industry. On every job we perform, we strive to offer the best customer service, the highest quality pavements, and a unique experience overall. We are equipped to tackle projects of all sizes and scope. Whether you’re an HOA or Construction manager looking for installation and maintenance of residential pavements or just a homeowner seeking a new driveway, we’re standing by to help. Business owners have unique needs and responsibilities when it comes to their paved surfaces. Your property’s exterior is going to be the first thing your customers, employees, and guests interact with when they visit you. Maintaining safe, reliable, and aesthetically pleasing pavements is critical to making an impactful first impression. Keeping your exterior in great shape shows your pride in your business and property. Business owners also have a responsibility to maintain pavement’s that are safe for pedestrian and vehicle traffic, and compliant with the Americans with Disabilities Act. We offer a variety of commercial paving services to meet the advanced needs of business owners, construction managers, and installation manager all over the state. When you partner with Limitless Paving & Concrete for your commercial asphalt projects, you get a team of professionals with decades of experience managing projects of all sizes. We get the job done right the first time, every time by maintaining the highest quality standards in the field. We are committed to consistently raising the bar for the paving industry when it comes to quality workmanship and customer service. Call Limitless Paving & Concrete today for a free quote on your commercial project. For new asphalt installations, we pay particular attention two three critical elements. This helps ensure that every project we perform is built to last. The most critical factor in a pavement’s service-life is the quality of the initial design & build. Even with diligent maintenance, an improperly constructed pavement will rapidly deteriorate which will lead to a costly early replacement. A high-quality installation can increase a pavement’s service life by 40% or more. 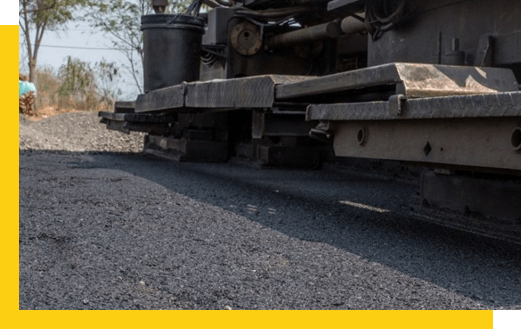 What Are The Benefits of an Asphalt Pavement For My Business? 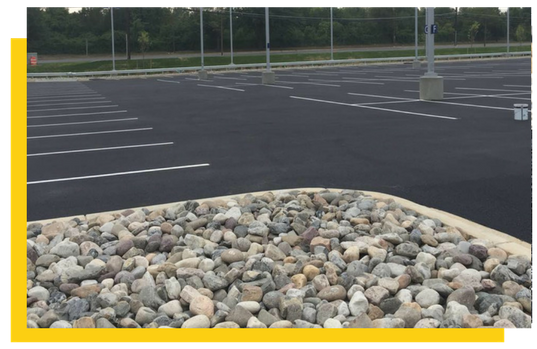 Most business owners choose asphalt pavements for their parking lots and other surfaces because it is durable enough to withstand moderate traffic, is more affordable than concrete, and can be installed quickly. Over the long run, this saves business owners considerable amounts of money. While asphalt requires more frequent maintenance to lengthen its service life compared to concrete, these maintenance services are affordable and can often be completed in just one business day. Concrete is more expensive than asphalt but is more appropriate for parking lots that will have a significant amount of heavy traffic, including long-term parking of heavy machinery. For the majority of businesses, the advantages of concrete don’t outweigh the higher costs. Though some may prefer the aesthetics of concrete. Concrete is also more appropriate than asphalt for multi-level parking structures, parking garages, and loading docks among other structures. Overall, asphalt pavements give business owners an affordable and long-lasting way to provide their property with the access and parking it needs. Both asphalt and concrete pavements require frequent maintenance and repair to get the longest possible service life. Plus, it helps keep your pavement looking brand-new and shows off the pride you take in your property. Limitless Paving and Concrete provides home and business owners with comprehensive pavement management plans as well as one-time repair and maintenance services. We want to help you keep your pavements in great shape all year round. By offering affordable maintenance and repair services, we can help property owners get the most out of their initial investment in their paved surfaces. If you have damaged or deteriorated pavements, give us a call for a free consultation. An asphalt overlay is a pavement restoration technique that aims to remedy extensive surface damage. It’s an affordable alternative to complete excavation and replacement. It is basically a large-scale patch job for the entire surface. It involves applying a new layer to the top of the pavement, usually 1.5” to 2” thick. This new layer will help give the pavement a brand-new look while taking care of elevation and drainage issues, cracks, potholes, and other forms of damage. The result is restoring the surface’s former beauty and integrity, extending the overall service life. It’s important to note that an overlay is not appropriate for pavements with structural problems deep in the base layer of the pavement. To repair more extensive damage, an asphalt milling or complete excavation and replacement may be necessary. Asphalt milling is appropriate for pavements with widespread surface damage that can’t be solved with just an overlay. Milling might also be required if the surface has had several overlays applied and applying another one to two inches will cause the surface to be too high. Think of it like painting your walls. If you keep painting over the existing paint job for many years, eventually the paint will be too thick and require a complete refinishing. 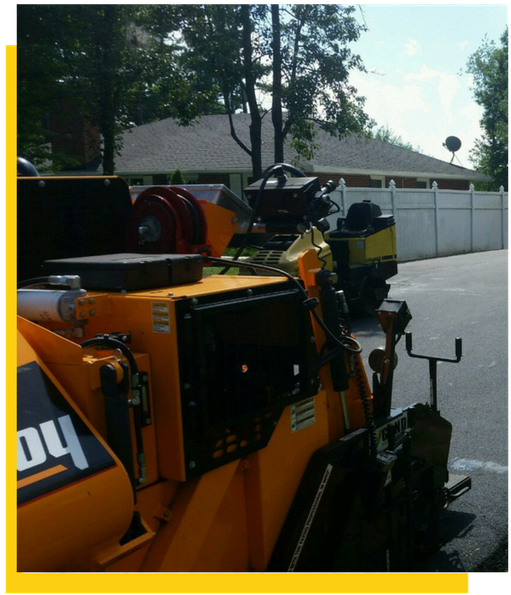 The asphalt milling process involves removing the surface layer to a specified depth with a machine called a cold planer. This machine grinds up the asphalt and collects it to be transported to a recycling facility, where it will be used as aggregate in future asphalt projects. Once the surface layer has been removed, an overlay is applied to the existing sub-base. Choose Limitless Paving & Concrete for Reliable Asphalt Work in Frederick County. You’ve chosen asphalt for your project, so what are your next steps? It’s time to put just as much thought into selecting a Frederick paving contractor. When investing in your home or business, it’s essential to choose a reputable team with a track record of excellence. At Limitless Pavement & Concrete, we take pride in the outstanding service our team provides for every job. Customer service is our ultimate goal, and we will go to great lengths to ensure that you end up with a high-quality, long-lasting product. Our crews have the experience, work ethic, and commitment to their customers to perform any job to your utmost satisfaction. Give us a call today for a free estimate on your driveway, parking lot, or other structure today. Q: Why should I choose asphalt paving over other choices? A: Asphalt is historically known as an excellent paving material. Not just that, when it comes to expenses, asphalt ensures an equal of far better performance compared to most of its costlier alternatives. Asphalt paving is particularly popular among businesses because driveways and parking lots send a message to customers about their commitment to aesthetics, as well as consumer safety. Because of its superior build quality, asphalt paving does a rather commendable job protecting vehicles from potential damages. Q: How long does an asphalt driveway or parking lot generally last? A: Of course, the answer varies depending on a lot of factors. However, a properly installed asphalt surface built using today’s state-of-the-art technologies can last up to 40 – 50 years, if not more. Q: Is it possible to put an asphalt surface over an old concrete driveway? A: Yes, it is possible. You can place an asphalt surface over an old concrete driveway if the concrete has not deteriorated beyond a point. Just give our in-house asphalt experts a call, and they will be at your property right away to evaluate the feasibility of covering your old concrete driveway with an asphalt surface. Carefully though! Because concrete has expansion joints, any “movement” in it will reflect up through the asphalt which, in turn, might leads to cracks. Our experts are equipped with the right technologies and know-how to safely install the material you need. Q) What makes asphalt pavements ideal for my paving needs? A) If you are a business with daily visitors to your establishment, the condition of your parking lot and driveways sends a message to customers. The same goes for the average household wanting to ensure that their vehicles are not damaged from any crack or pothole on the driving surface. Asphalt is widely known for its reliability and durability as a paving material. In addition, asphalt is relatively affordable too, meaning it is unlikely to leave a dent on your budget. 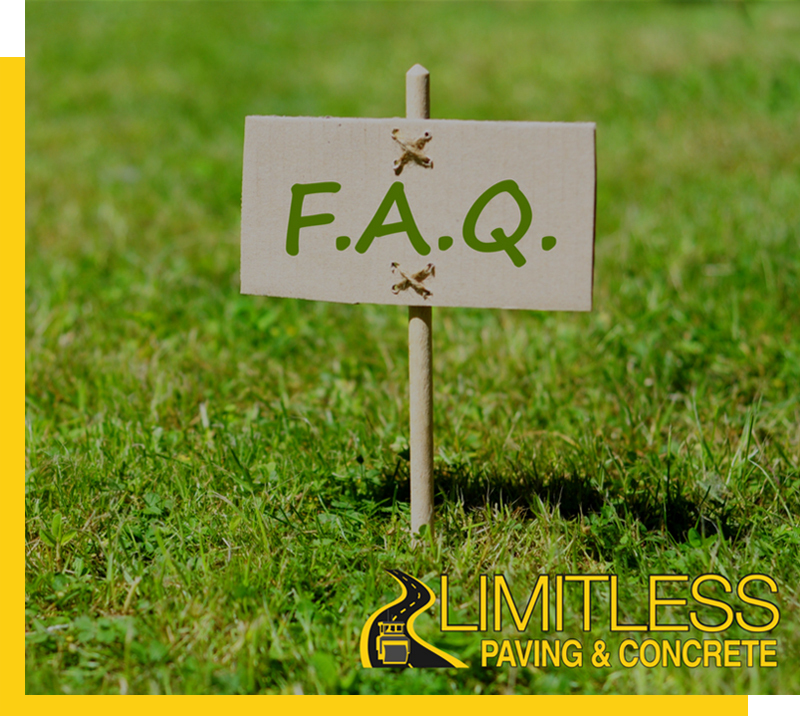 Q) How long can I expect an asphalt driveway or parking lot last? A) With adequate installation and high-quality material, you can expect your asphalt installation to last at least 30 years or more. Throw in some timely maintenance and the durability can go up by to as many as 50 years. Q) Can you repair my existing driveway in Frederick, Maryland? A) Yes, we can repair your asphalt driveway or parking lot. Just give our friendly representative in Frederick, Maryland, a call and they will come visit you at your property to inspect the extent of wear and tear and make an estimate of the budget. Q) Does Limitless Paving & Concrete offer warranty on asphalt installations? A) Yes, we offer a 12-month warranty on our asphalt paving and construction work. Get in touch with our representatives for further details. Q) How do I decide what type of asphalt should be appropriate for my project? A) You do not have to sweat over choosing the right asphalt at all. Product type for all paving projects is determined by one of our in-house asphalt paving experts. Get in touch with our office in Frederick, Maryland, and we will send an expert to inspect the site and figure the best match for the anticipated use.